The redesigned 2012 New Beetle shares a vehicle platform with the VW Golf and will continue to be assembled in Puebla, Mexico. DETROIT — The redesigned 2012 Volkswagen New Beetle will undergo an evolutionary styling change when production begins next year. Spy photographs of the car reveal that all of the sheet metal has been replaced, but the overall design remains retro. The redesigned 2012 New Beetle shares a vehicle platform with the VW Golf. The New Beetle will continue to be assembled in Puebla, Mexico. In an interview last October, Stefan Jacoby, who at that time was the president and CEO of Volkswagen Group of America, said the next-generation New Beetle would have more space for rear-seat passengers and better packaging. However, the overall dimensions of the vehicle would not significantly change. Jacoby said the major complaint about the current car — aside from its age — is the cramped rear seat. Few changes have been made to the current New Beetle since it debuted in 1998. 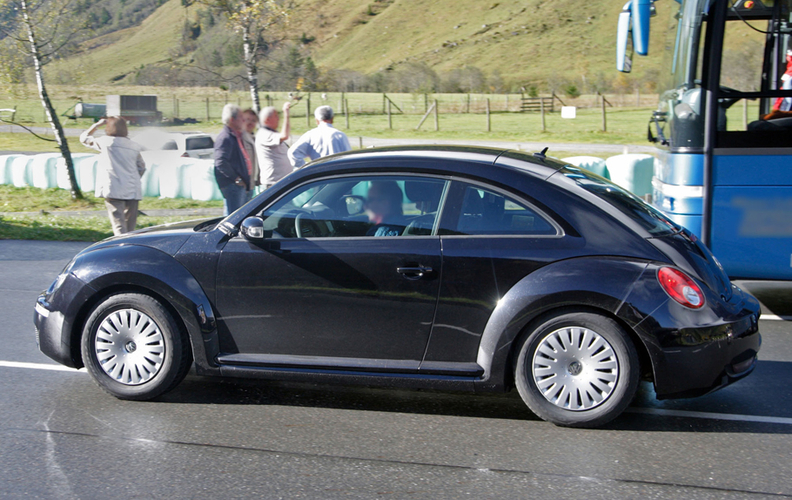 New Beetle sales peaked at 83,434 units in 1999 and have plunged considerably since then. VW sold 14,085 New Beetles last year in the United States, a 47 percent drop from 2008. Through September, sales are up 27 percent from last year, to 14,747.